The purpose of this paper is to develop a new method for determining total antioxidants capacity (TAC) in urine. In our study, Na2S2O3 and mixed urine were used to evaluate the linearity and precision of the iodine starch agar method. The areas of urine diffusion in samples from 44 coronary heart disease patients and 44 healthy subjects were determined by the iodine starch agar method. The results have shown that the linearity and precision for iodine starch agar method were acceptable, because the R2s in linear experiment of Na2S2O3 and urine were 0.999 and 0.995, respectively; variation coefficients of urine diffusion area in high and low levels within-run, between-run, between-day were all less than 10%. The difference of TAC in urine between the coronary heart disease group (Median= 0.95) and healthy group (Median= 1.13) was statistically significant (p=0.001). 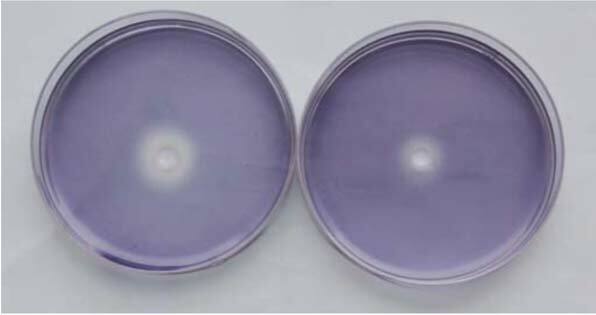 The iodine starch agar method is a simple and convenient assay to determine total antioxidant capacity in urine. Iodine starch agar method (ISAM), total antioxidant capacity (TAC), urine. College of Medical Laboratory, Dalian Medical University, Dalian, 116004, P.R. China.